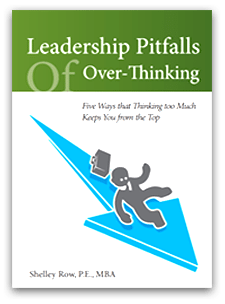 This pocket-sized book is a convenient reminder of how to avoid the five pitfalls of over-thinking so that you can decide and move on. This Minibük makes a perfect give-away at your event or a companion to the Avoid the Pitfalls of Over-Thinking program. Contact Shelley for a price discount on orders of 50 books or more.